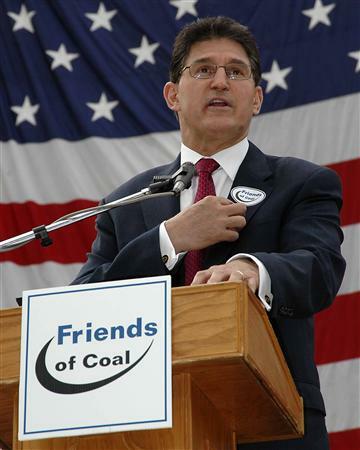 June 9, 2010 by Ken Ward Jr.
Here’s a shocker … West Virginia Gov. 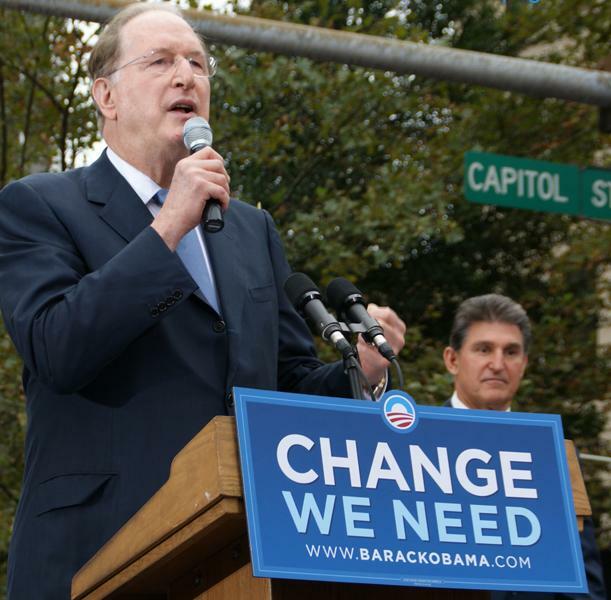 Joe Manchin issued a statement to praise Sen. Jay Rockefeller, D-W.Va., for announcing he will vote in favor of the broad effort to block any EPA action to deal with global warming. The governor believes that support of the Murkowski resolution is critical if West Virginia and our country expect to have a viable future in energy and job sustainability. Critical? How so, given that the House has no plans to take up the measure and even if they did and it passed, President Obama would veto it? Rockefeller says support for Murkowski resolution is a vote for a strong West Virginia economy. Given that the main concern here is coal … it’s interesting to consider whether coal production translates into a strong economy … consider, for example, Boone County, the state’s largest coal producing county. According to the latest Census data, about 16 percent of Boone County’s families live below the poverty rate. That’s compared to about 9 percent nationally. And of course, Sen. Rockefeller should know that coal has so many hidden costs, and that if those costs were truly weighed, coal would cost the Appalachian region more than it benefits us. No matter how many times supporters say otherwise, a vote for the Murkowski resolution of disapproval is a vote to deny climate science by overturning EPA’s science-based finding that global warming pollution is dangerous to Americans’ health and to their environment. Of all people, Science Committee Chairman Rockefeller should know what’s wrong with denial of climate science. Indeed, while the group of outliers funded by ExxonMobil has had some success in the court of public opinion, it has failed miserably in confusing, much less convincing, the legitimate scientific community. Rather, what has emerged and continues to withstand the carefully crafted denial strategy is an insurmountable scientific consensus on both the problem and causation of climate change. Instead of the narrow and inward-looking universe of the deniers, the legitimate scientific community has developed its views on climate change through rigorous peer-reviewed research and writing across all climate-related disciplines and in virtually every country on the globe. I’ve heard Sen. Rockefeller talk many times about how he won’t support any climate or clean energy bill that doesn’t do enough to protect West Virginia coal, by easing the pace of emissions reductions and providing tons of money for carbon capture and storage research and deployment. But the rhetoric here from Sen. Rockefeller seems aimed more and appeasing the West Virginia Chamber of Commerce, where former aides to Massey Energy Don Blankenship have steered the public relations efforts to an even more staunch position urging no action at all on climate change. And by supporting a measure that not only blocks EPA action on greenhouse emissions, but overturns a finding by EPA Administrator Lisa Jackson that did little more than confirm what scientists already know — that climate change is threat to public health and welfare — you have to wonder if Sen. Rockefeller is fostering the very “head in the sand” attitude that Sen. Byrd cautioned us against. The only path forward for the United States, and for West Virginia, is to enact a comprehensive clean energy and climate plan that breaks our addiction to oil, limits global warming pollution, and invests in technology to capture carbon dioxide from power plants. With Senator Rockefeller’s help, such a law could be enacted this year. This is about who sets major national policy. It should not be the EPA. Leave important matters like earth warming, and climate change, to congress ? I hardly think so. Scientists and trained environmental people have far more expertise. The climate that Senator Rockefeller needs to focus on is the global investment climate. Right now, lots of smart money is going to China, to get in on their reduced-atmospheric-carbon-emissions bandwagon. To get that bandwagon going here in the US, including big investments in carbon capture and sequestration for coal, most experts agree we have to have legislation — that EPA action won’t cut it. I believe Senator Rockefeller understands the economics of this situation. Like the NRDC fellow, I believe he can help pass the legislation that we need, this year. Right now, I just see this as his currying favor with (a) Rockefeller and (b) the coal money he wants to help his race. While I appreciate your comment, please try to be a little more polite — no need to tell anyone to keep their “mouth shut” … that’s a little more direct than is necessary to make your point. Ken. You and Mr. Lashof sell our Senator short – his support of the Murkowski resolution is far from his joining the so called “deniers.” Rather, he knows that the action the US takes has to have a balance and intelligence EPA action cannot strike. The EPA is incapable of doing anything like that. All it can do is cut emissions. It cannot provide for relief from the likely huge costs or allow markets to find the best way to achieve the goals. Action to prevent EPA from acting while Congress formulates appropriate legislation and international climate change negotiations proceed is only good sense. EPA’s threatened action is a spur to congressional action and opponents of any US restraint of CO2 emissions will be pleased by relief from that threat. However, those who want the US to restrain its emissions now do their case no good by advocating action which is assuredly neither smart nor balanced.